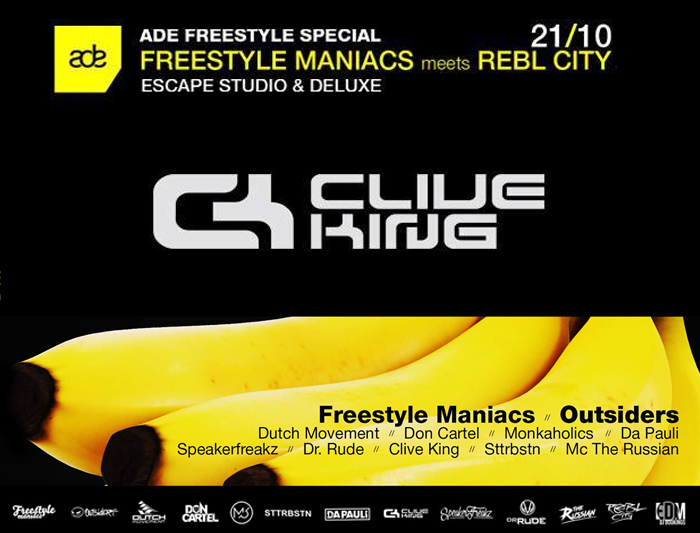 Friday Clive King of GumBallz Records will perform at Amsterdam Dance Event Freestyle Special Escape Studios Amsterdam. Freestyle Maniacs showcase meets REBL City! Including Dutch Movement, Don Cartel, Monkaholics, Da Pauli, Speakerfreakz, Dr. Rude, Sttrbstn and mc The Russian.